Lululemon blames the manufacturer. The manufacturer blames Lululemon. Fingers are pointed, words are spoken that cannot be unsaid and it is us, the timid consumer — trembling in downward dog — who suffers in our see-through $100 yoga pants. Don't you hate it when mom and dad fight? Don't you hate it when mom and dad are a Canadian yoga outfitter and a Taiwanese factory? Over the weekend, Lululemon issued a recall for several styles of black yoga pants bought after March 1st. According to the company, the "batch" failed to meet their technical specifications, leading to major coverage issues/a.k.a you might as well have been doing your sun salutations in a pair of sheer tights. How very Edie Sedgwick of you! The Taiwanese supplier — that also makes products for Gap and Under Armour — has responded, however, claiming that the pant order was entirely up to scratch. Roger Lo, chief executive of the Eclat Textile Company, tells the Wall Street Journal, "All shipments to Lululemon went through a certification process which Lululemon had approved. All the pants were manufactured according to the requirements set out in the contract with Lululemon." Yo-ga fight! Yo-ga fight! Yo-ga fight! 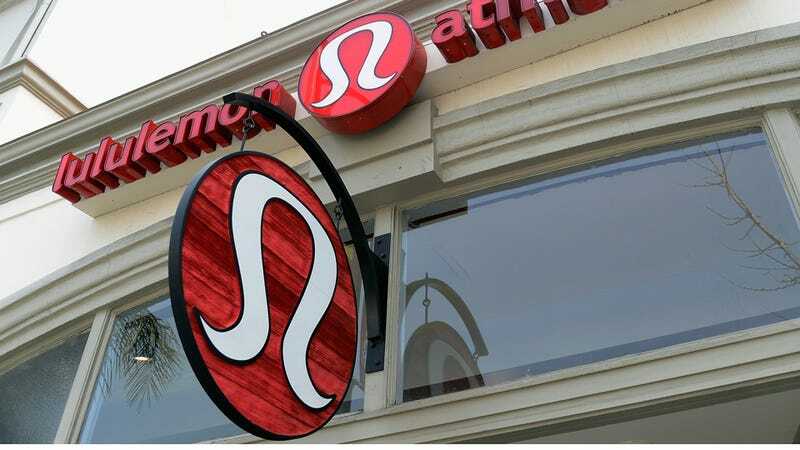 Lululemon is set to lose upwards of $20 million in the recall, but, strangely, according to Lo, the yoga outfitter has only called out Eclat in the press and has not directly contacted his company at all. Perhaps passing the buck is a way for Lululemon to deflect blame and distract from their other quality control issues. According to a Credit Suisse analyst, the see-through pants debacle is actually their fourth issue in quality control over the past year.